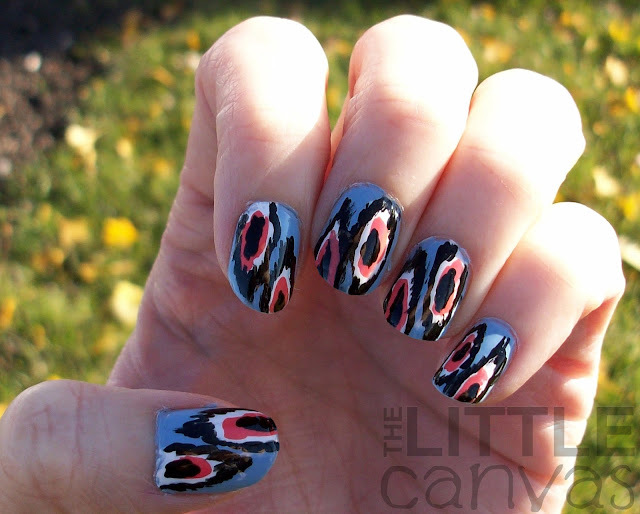 31 Day Challenge - Day 21 - Tribal Print - Ikat nails! Second to last day of pre-swatched posts before I gave up on the challenge. Oh what a failure I am as a blogger lol. Seriously, I feel like I left my followers and the other girls who I was participating in the challenge with down. I'm sowwy =/. Anywho, I have to say, I didn't hate this manicure, but I also wasn't head over heals about it. For tribal day, I wanted something different, I didn't want to go with the traditional line, dots, numerous colors, tons of effort tribal nails which everybody usually does. 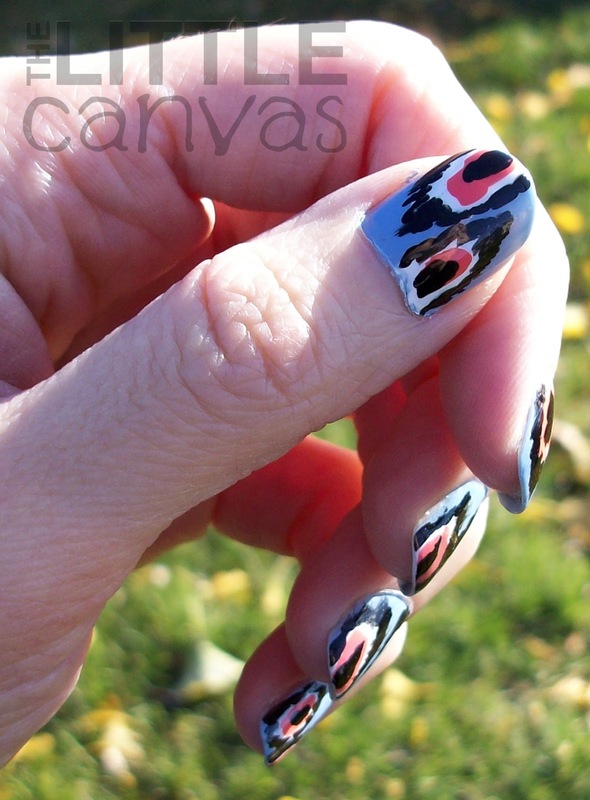 Awhile back, my one friend had posted Ikat nails she did herself to her personal Facebook. I loved the idea and it looked so tribal, in my opinion. It reminded me of those Aztec patterns you see on old Southern throw rugs and such. I bet no one knows what I'm talking about and I'm crunched for time so I can't insert a picture here. These are actually rather simple to accomplish!! I started off with a base coat of Revlon Dreamer. From there, I added the white polish with the nail polish brush. When that was dried, I added Sasha with the brush. Finally, with a nail art brush, I messily outlined the patterns with black polish. I forgot how pretty Sasha is as a polish, I need to start using it more. Kristine from Pink and Polished tweeted me that she couldn't wait to see my Ikats. After I asked if she had done them and she responded yes, I went and stalked her blog. I found her first attempt at Ikats, and they were perfect! Go take a look!! I actually wish I used the colors she did! For her base, she used Sinful Colors Mint Apple, which if you do not know, is my FAVORITE polish. Dreamer looks nice, but it's not Mint Apple! What do you think? 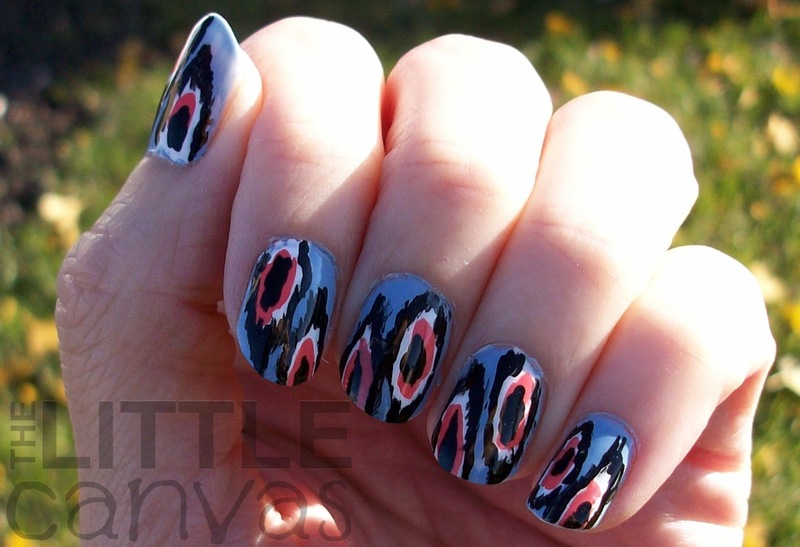 Love or hate the ikat? Do you also love Kristine's Mint Apple Ikats? 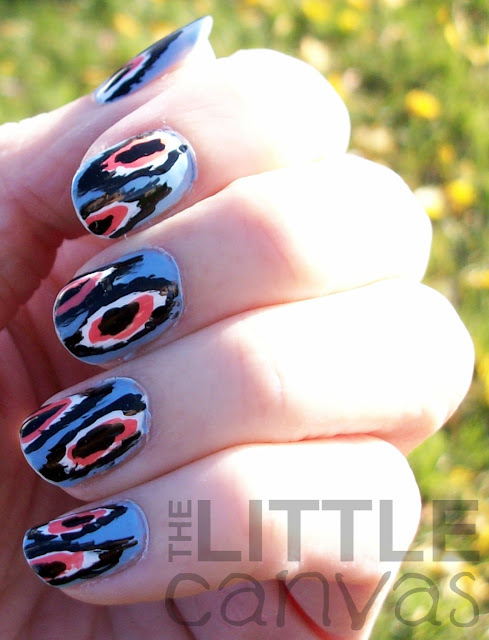 I definitely will be trying these again when I'm out of my manicure funk. I think my patterns were too large, so I think next time I'll scale them down. They came out so good! 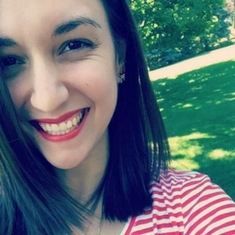 thank you Megan! miss you!! !